Mary Howard from Liberia lost several family members to Ebola. She herself won the battle with death. But when she returned to her community after being hospitalised, the stigma of the disease made her an outcast. Then women’s rights organisation WONGOSOL stepped in. Kvinna till Kvinna co-organised workshops in Liberia on how to stop Ebola from spreading. Photo: Ruth Toby / Kvinna till Kvinna. Everything started with Mary Howard’s eldest daughter falling ill. Her condition rapidly got worse: shortly after, she died. Two of Mary’s other children soon suffered the same fate. Neither health workers nor Mary’s family understood that Ebola was the cause of death. The local health centre simply did not have the capacity to test for the virus. Mary’s husband died, but she and her daughter miraculously survived. Yet when they returned home, the pair were met with distrust. “We lived a life of stigma and rejection, friends and family avoided us like the plague. It was terrible. I was alone with four children and we could hardly afford one meal a day,’’ she says. It was at this critical point that Kvinna till Kvinna’s partner organisation WONGOSOL (Women’s NGO Secretariat of Liberia) showed up. “They came to our village, knocking on the doors of survivors who had been abandoned by their loved ones. Through WONGOSOL, we got counselling sessions to regain hope and self-esteem, and food support for our families. I learnt about the importance of sticking together, avoiding ignorance and forgiving those who mistreated us. This made a big difference in my recovery,’’ Mary Howard explains. 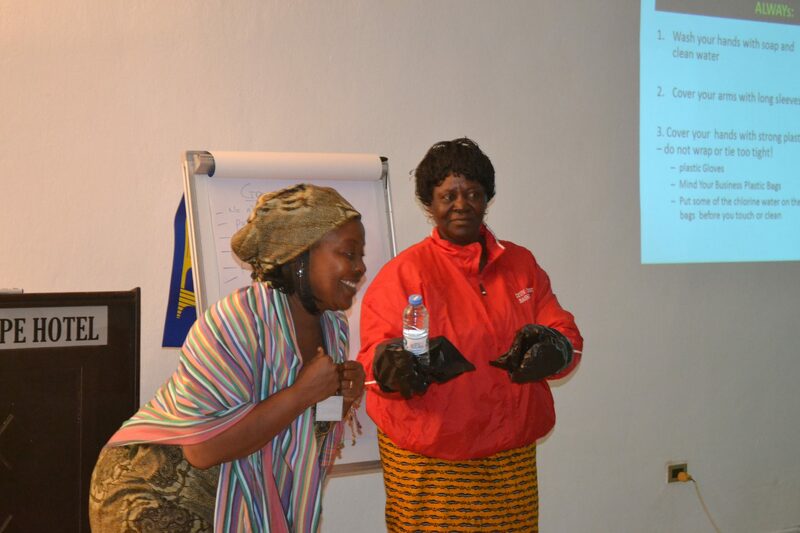 Apart from offering psychological and family support, WONGOSOL also holds trainings in disease prevention, talking about measures such as proper hygiene to prevent the spread of Ebola. Mary Howard has made sure her children know about these measures. “I do my best to empower them through education, to make sure they aren’t ignorant. Not recognising the symptoms of Ebola took four loved ones away from me. I never want that to happen to me again,” she say with determination. Today, Mary Howard supports her family by selling second-hand clothes. Having had Ebola still carries great stigma in Liberia, so she has to travel to villages where nobody knows her to be able to do business. But Mary is proud of being productive in spite of all the challenges that face her.